Pilkington addresses the crowd during the awards presentation. Last evening, Angela Pilkington, Correct Craft’s executive vice president/chief of staff, received the 2018 Darlene Briggs Woman of the Year by the Marine Retailers Association of the Americas at the kickoff to the Marine Dealer Conference & Expo in Orlando. 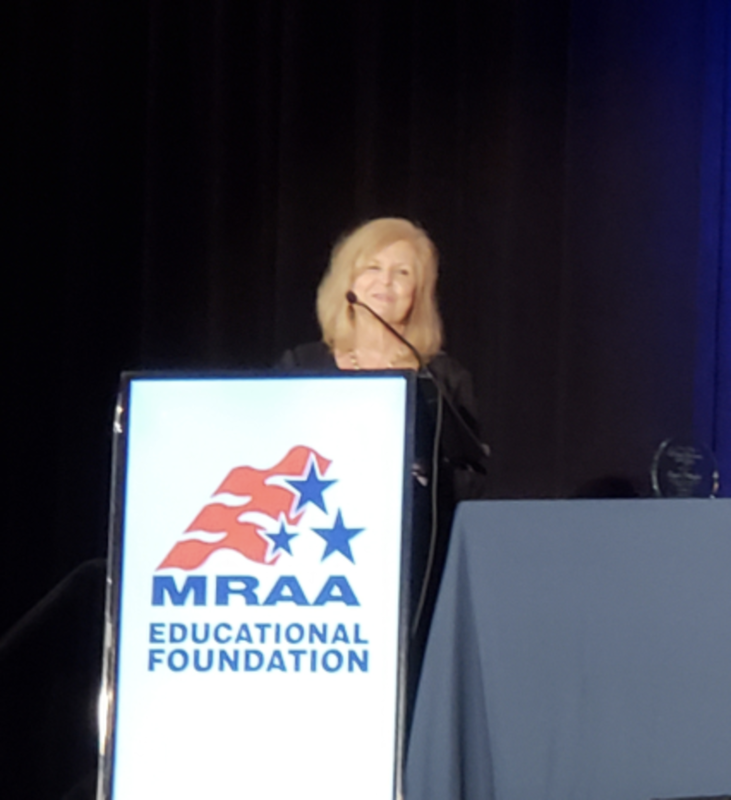 The MRAA and Boating Industry magazine present the award annually to a woman who is actively involved in the marine industry. Pilkington began her career at Correct Craft in 1981 as a temporary employee. She worked her way up to administrative assistant and then held multiple roles including her current position while raising a family and completing two degrees. In her current role, Pilkington works with Correct Craft subsidiaries to drive initiatives and execute strategic plans at each company. She mentors female employees throughout the organization.